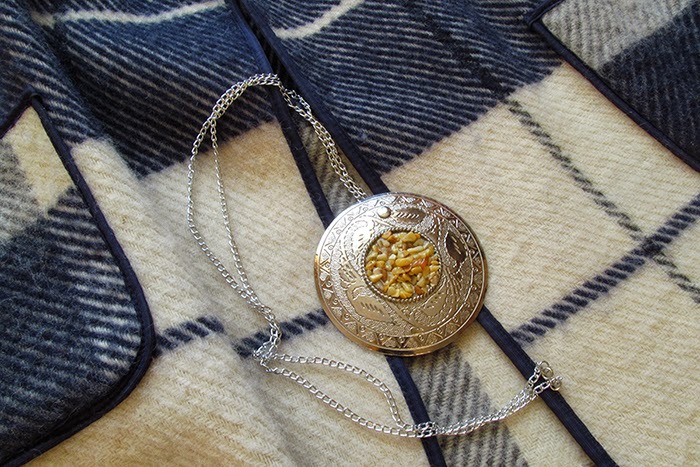 How to turn an iconic Latvian brooch into a modern necklace. In my 'Tautu Meita' series (Latvian Folk Costume, Tautu Meita of a New Generation, Pūt, Vējiņi!) I by far have vaguely covered the topic of Latvian folk costume and some of its essential pieces. I adore the topic of folk costumes in general, be it Russian one, or Chinese, or some other ones, so I sometimes dare to call myself a collector of such pieces. Moreover, in my opinion folk costumes are not only a great source of researching a certain culture and country, it also helps you understand people of a certain area (country or region) and their modern day clothing/style/fashion preferences. It was the Fashion Patriots project organized by MyStuff.sk back in Autumn 2014, in which I did represent my country - Latvia. So it was the project that pushed me to go research Latvian folk costume in-depth. Apart from full volume skirts and interesting wraps I also fell for Sakta - a traditional brooch. Then it was the Spring/Summer session of Riga Fashion Week and the fashion show of RECYCLED.LV named 'Ethnography'. It was all about the modern Tautu Meita and, of course, recycling (aka eco-fashion). 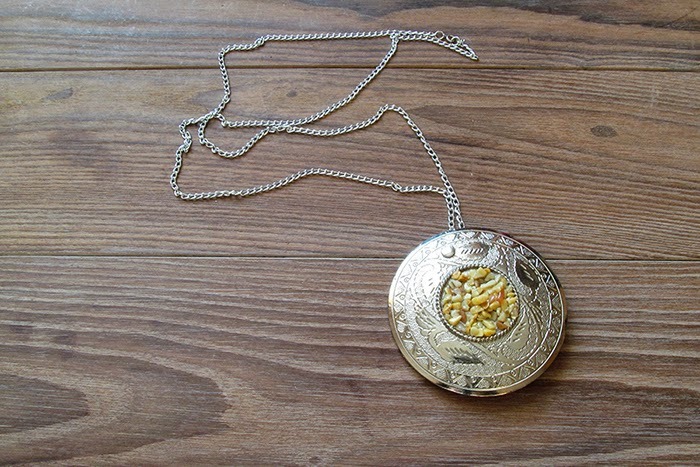 What I liked about it more were accessories - Saktas in different sizes and all types of necklaces you can imagine made of unbelievably interesting materials. So it will be fair enough to state that it was the RECYCLED.LV collection that inspired me to turn this Sakta-like brooch into a necklace. The best part of this Do It Yourself story is that you don't need much. Basically, DIY requires own hands and some imagination that, as we all know, will take you everywhere. 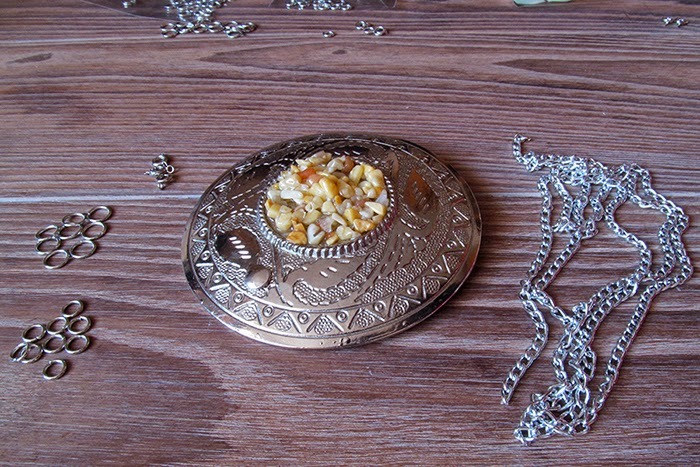 Brooch a la Sakta, but make sure the backside is removed (not necessary, in case you would like to use it as a brooch as well) and make sure there is something you can attach chain to. Chain, approximately 1 metre long. Though this can vary due to your own self and preferable length. Thickness and color of chain is up to you as well. Little metal details like link elements and clasp. These ones usually go in little packages with some god 10-20 pieces inside. What we do first is to attach a couple of metal link elements (of the same or different sizes) to the backside of Sakta, thus we have one link element that will hold the chain and allow us changing its length. 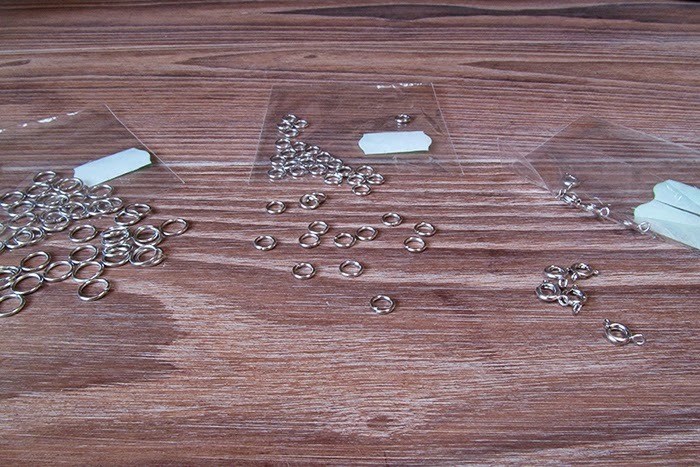 We need to attach metal link elements and clasp to the ends of the chain. 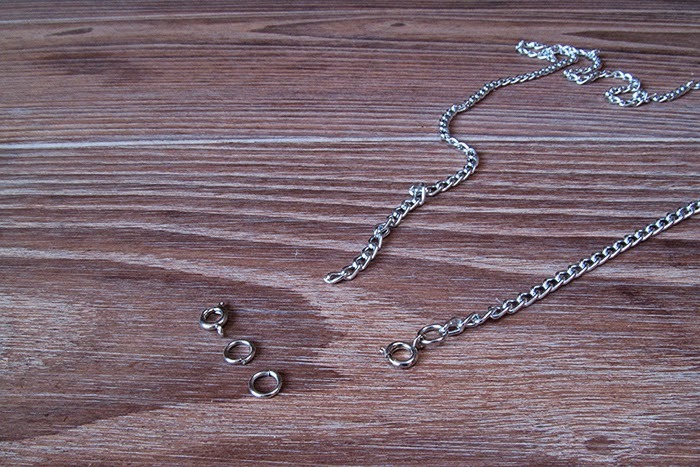 Despite the fact that the chain (if it's 1 m long or more) is pretty long and will allow to simply pull the necklace over the head without opening the clasp every single time, you still might want to be able to change its length when needed. Make the Sakta and chain meet. Voila the necklace is ready!